N Air Systems has emerged as a major player in its operational sphere due to its competitive pricing policy, unbeatable solutions and quality delivery of consignment. 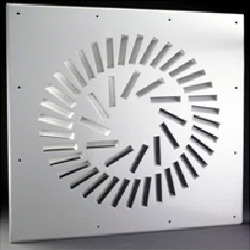 The company was formed as a sole proprietorship firm, in 2008 and involved in manufacturing, exporting and supplying a wide assortment of Air Diffusers, Air Dampers, Air Louvers, Air Registers, Lay In Diffusers, Disc Valve Diffusers, Aluminum Grilles, Plenum Boxes and Sound Attenuators. All our products are quality tested and in strict conformation to the prescribed standards as well as parameters of industry. We are growing leaps and bounds under the intelligent guiding principles of our honorable Managing Director Mr. Suresh Nair.